Every year millions of motorists have to renew their car tax. Even if your car is below the tax threshold and is exempt from paying car tax, you still need to display a valid tax disc and get in renewed each year. Although nobody likes paying the DVLA car tax, it has to be done, so what are your options? Around three weeks before your tax disc is due to expire, you will receive a 'Vehicle Licence Application / Statutory Off Road Notification' form, known as the V11 reminder. You will need this in order to renew. This is still most people’s preferred method for renewing their DVLA car tax. 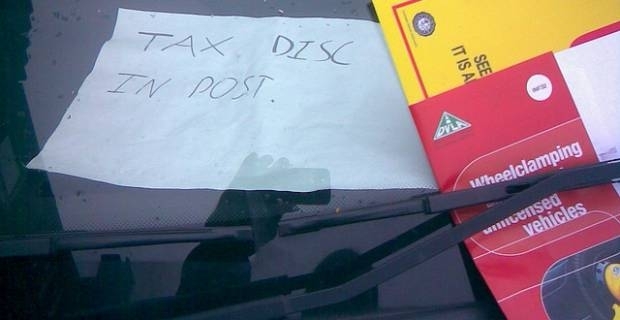 If you don't mind battling the queues in your local Post Office, all you will need is your completed V11 notice and your insurance certificate or cover note, which must be valid when the new tax disc begins, and a valid MOT certificate, if the car is over three years old. If you apply by post you will need the same certificates that are required at the Post Office. This could save you from having to queue, but you will still have to complete the V11 form. Taxing a vehicle by phone can only be carried out by the registered keeper. You will need the V11 reminder form and your V5 car registration document. Again, valid insurance and a current MOT are required. This is normally the quickest way to renew. It saves you the hassle of queuing at the post office or the time spent waiting on the phone. Although you don’t get the licence when you apply, it only takes five working days to reach you through the post. The system checks that you have valid insurance and an MOT automatically as you progress through the application, so all you will need is the 16 digit reference number that’s printed in the green box on the V11 and a method of payment. Using the online service for your DVLA car tax renewal is normally quicker than using any of the other services, but it and the other methods described here are only applicable if nothing has changed with your car. If you change the fuel type or engine capacity, you will need to visit your local DVLA office. Their contact details can be found on at dvla.gov.uk.